Our guest blogger this week is Richard Talbot, Head of Paid Search at Tinderpoint in Dublin. Richard is also an active member of the IAB Search Council. His post below is on the Google AdWords’ feature-Remarketing Lists for Search Ads (RLSA), which he argues are often overlooked. When it comes to the tactics used for targeting likely customers, search marketers really are spoilt for choice. However, the vast majority believe that keywords are the only way to go when it comes to search advertising. 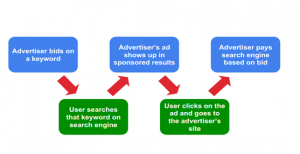 This means that Google AdWords’ Remarketing Lists for Search Ads (RLSA) are often overlooked and underused. In this article we seek to set out the case for RLSA. 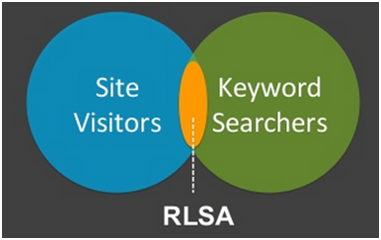 With RLSA campaigns, marketers are given the opportunity to adjust this process by based on whether the user has previously visit their website. Unlike AdWords’ display remarketing, with RLSA, users need to be actively searching on your keywords on in order for the tailored ads for them to be shown. 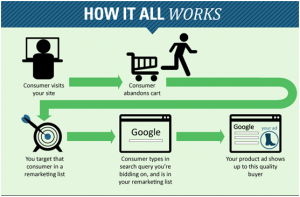 The same remarketing list can be used for both display and search remarketing, however this list requires a minimum of 1,000 for RLSA compared to only 100 for display remarketing. According to Google, only 2-4% of site visits result in a transaction, mainly because most users take time when making a buying decision. But with RLSA campaigns, you can target audiences that may be on the brink of taking action and convince them to go further. Here are some suggestions on how to deploy RLSA campaigns effectively. The logic here is that the prospect is already familiar with your brand as they have already visited your website. If they are searching on your keywords, it is reasonable to assume that they have not made a purchase decision, otherwise why still search?! By bidding higher on keywords contained within an RLSA campaign, you can get back in front of these prospects, since you know they are closer to purchase than new prospects. Following on from the logic in #1, you can add terms that might be considered too expensive/generic for original campaigns due to the highly targeted and qualified nature of RLSA. This is one of the strongest and most easily understood cases for using RLSA, especially if you have a one-off product or long purchase cycle. These draw on the logic of bidding higher on previous searchers and broadening your keywords to past users in points #1 & #2 above. With both repeat purchases and cross selling, a strategic decision will need to be made on which segments and products or services are best suited for this tactic. In some cases, it might not be worth implementing from budget and time perspectives. What are some of the drawbacks of RLSA? RLSA will only ever account for a portion of your traffic and conversions, typically between 1-20% depending on your industry, seasonality, etc. RLSA is also dependent on cookies. If anyone is using incognito browsing, has not enabled cookies, or clears them regularly, then they won’t end up on an RLSA list. If you are already on top of your AdWords account in terms of fully optimised campaigns, advanced features, and display remarketing implemented, then you should look to get RLSA campaigns enabled today! Need to brush up on your knowledge of Search Marketing terminology? View our IAB Ireland Search Marketing Glossary here.